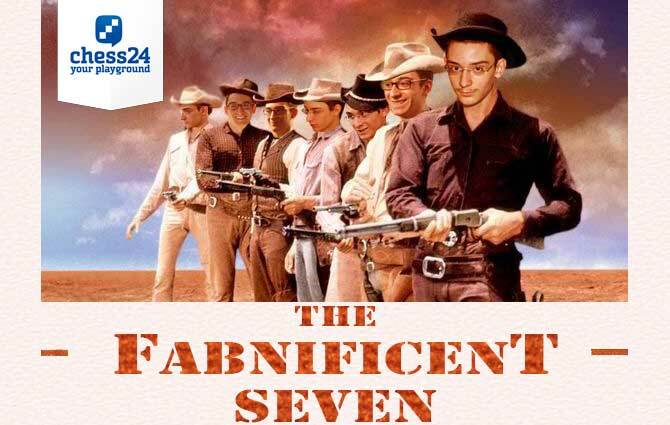 Jul 30, 1992 (Age 26) Miami, U.S.
Caruana was born in Miami of Italian/American parents but grew up in New York, where he was first coached by renowned teacher and author Bruce Pandolfini and played in tournaments at the famous Marshall Chess Club. As a 12-year-old he took the decision to move to Europe with his parents to pursue a chess career and started to represent Italy in international competitions. The soft spoken young star was the revelation of 2012, inexorably climbing the rating list while playing in tournaments of all levels, including large opens, at a time when those were avoided like the plague by the world chess elite. In 2012 alone he finished 2nd in Wijk aan Zee, 2nd in the Tal Memorial, 1st in Dortmund and 2nd in Bilbao (losing a tiebreak to Carlsen). At the 2014 Sinquefield Cup he scored the best result of his career, and one of the best performances of all time: clear first on 8.5/10, 3 full points ahead of Magnus Carlsen in 2nd place. That included starting with seven consecutive wins! Fabiano went on to achieve the third highest rating of all time, behind only Garry Kasparov and Carlsen, and in 2015 he was tempted back to the US Chess Federation. He won gold with the US team at the 2016 Olympiad, but the impression was that after working ferociously hard to reach the top Fabiano had eased off a little. He was still a challenge for anyone, though, and came within a game of becoming the official challenger for Magnus when he lost to Sergey Karjakin in the final game of the 2016 Candidates Tournament in Moscow. Two years later it was Fabiano's turn. He scored an impressive victory in the Berlin Candidates Tournament and followed up by winning the GRENKE Chess Classic, Norway Chess and the Sinquefield Cup. For the first time in decades we had a World Championship match featuring the world no. 1 vs. the world no. 2. Fabiano came extremely close to the title, missing a couple of clear chances to take a lead in the match, but in the end all 12 classical games were drawn. That was, as almost all pundits had thought before the match, bad news for Caruana, whose level at speed chess has always been significantly lower than his level in classical games. Sure enough, Magnus went on to win the rapid playoff with ease, winning the first three games to hold onto his title. Carruana will represent America in the London Finals!!! Next year's 2016 US Championship will be very interesting: Nakamura vs. Wesley vs. Caruana. Probably, the organizers at St. Louis and the USCF should consider changing the format of 2016 US Championship into a double round robin just amongst these three elite GMs. How about that? Would Caruana have more financial and technical support behind him (e.g. openings preparation) if he played for the U.S. than for Italy? 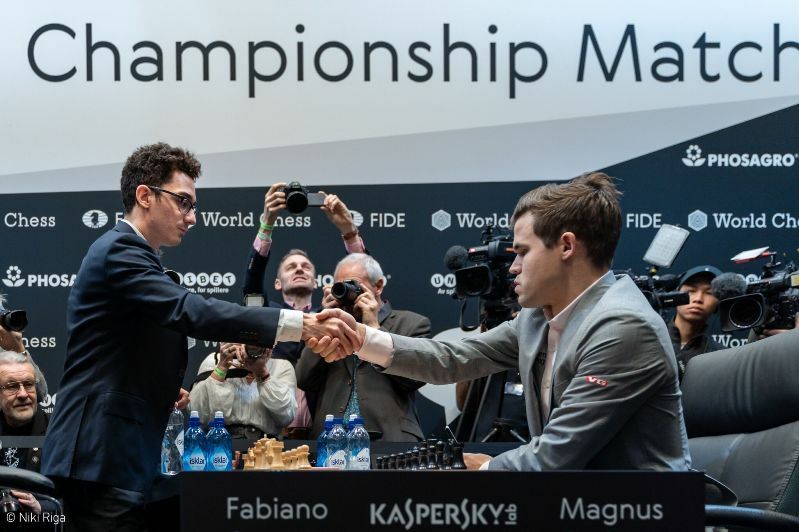 A Carlsen vs. Caruana 2016 would be the gift from the sporting gods to modern Chess. Anything less will be a clear, predictable win for Carlsen. I want to see him next year playing for candidates tournament. It will be awesome if he could play for the crown against Magnus or Anand (go Anand! )!